When most of us hear the word divorce we think about two individuals who were once blissfully married but have drifted apart for various reasons. Maybe they got into the marriage for the wrong reasons, their priorities and interests changed or they became incredibly unhappy because their needs were not being met. Believe it or not, the reasons for divorce functions much in the same way in an employee-employer relationship. After spending 10-12 hoursÂ a day working at a job for a period of time, a shift can occur and the relationship can begin to unravel. If despite many attempts to restore trust in your employer or interest in your work have been unsuccessful, it isn’t always a bad thing. Â Nicole K. Webb, a human resource consultant, career coach and founder of NK Webb Group, provided the following signs that it may be time to divorce your employer. Lack of growth opportunities: You are no longer challenged and starting to feel that you are the smartest person in the room, Web says.Â The reality is most organizational structures are designed based on the business and operational needs, not on an employee’s specific needs. Therefore, the employer is not obligated to— and likely won’t—modify its structure to satisfy your interests. 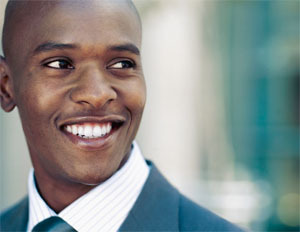 Find a job within a company or organization that can provide you with opportunities to advance. Your employer has engaged in unethical or illegal business practices: Most often, there is more than one participant behind a company’s questionable practices, Webb adds. Usually, unethical and illegal business practices are used to cover up a number of problems that have existed for a long time. These deep-rooted issues will take a while for the organization to correct—if they plan to correct them at all. Search for a new job that is not only transparent about its beliefs and values, but consistently enforces a code of ethics and business conduct for everyone within the organization. Additionally, make sure your professional beliefs and values are aligned with your prospective employer. You don’t fit in with the corporate culture: Your work environment is toxic and unhealthy. It’s extremely difficult for you to perform your duties without having to deal with unnecessary stress or drama. In fact, it’s only a matter of time before your built-up frustration causes you to respond in a negative manner, Webb says. Walk away with your head held high and your employee record blemish-free. Your supervisor is incompetent: As a result, you’re often tasked with some of their duties while also responsible for your own. This will continue to be a problem because on your first day of work, you likely signed a piece of paper defining your job description, where the final line included the following statement: May be tasked with performing other duties as assigned by management. So, when you accepted the position, you agreed to perform additional duties as needed. As a result, your supervisor can continue to take advantage of your knowledge and experience whenever they see fit. Find a new job or role within a department or company that has a competent leadership staff. Look for leaders who value teamwork as well as those who are highly experienced and have credentials. You’re ready to transition from employee to employer: Your level of commitment to your employer slowly begins to decline because you are mentally cheating on your day job with your dream job. Face your fears, do your research and take the entrepreneurial plunge. “At 31 years old, I have been very fortunate explore several career opportunities that prepared me for where I am today,” Web says. Should You Take a Chance On a Workplace Romance?